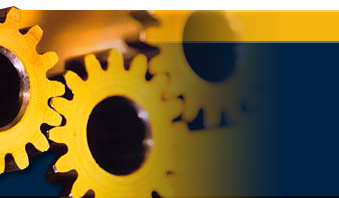 Sapitflex Self Lube Gear Couplings provide an innovative and advanced technological development in coupling design. DESIGN: The unique design comprises an inner gear type hub and an outer hub with connecting cylindrical drive elements made from a highly resistant self lubricating material. Cylinders are capable of resisting high working loads whilst allowing axial movement. The configuration of the coupling allows unlimited life of the hubs in the event of the failure of the drive cylinders as no metallic parts come into contact. In the event of wear the self lubricating cylinders are simply replaced. Standard hubs are C45 UNI EN 10083/1 Steel. Stainless Steel hubs are also available. CONFIGURATION: Series DNSA (2pce) for low-medium torques and where it is possible to displace machine to change elements. Series DNS (3pce) for torques up to 176600Nm, elements can be changed without machine displacement. 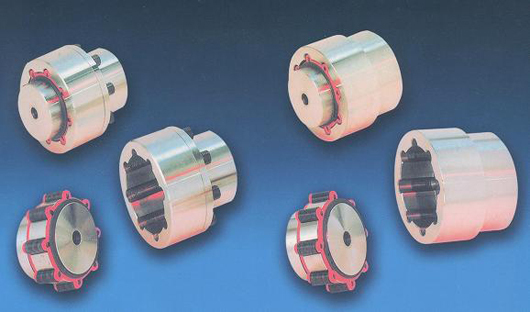 Series DNP - Spacer Couplings. Sapitflex Disc Couplings are designed and manufactured to Lloyds Quality Assurance Standard UNI ISO 9001:2000 meeting a wide range of power transmission applications. CONFIGURATION: An extensive range of standard catalogued configurations are available at short delivery. Special designs to meet your requirements including special steel materials for low temperatures. Hubs and spacers in titanium or aluminium alloys to reduce weight or inertia. Spacers available in composite materials. Contact us for your particular application. Our Linkflex range of Australian manufactured gear couplings was developed by PT Link in response to market demand for large tooth profile couplings particularly suited to the Steel Industry. Designed to withstand heavy shock loadings they are available ex- stock up to 6” (150mm) bore size and dimensionally compatible with recognized Australian brands. We also engineer and supply retrofit-replacement couplings in large sizes to match your existing units that may no longer be available or could be on long lead times. For these applications we work closely with you to custom design couplings making best use of existing components, keeping your costs down. Site designed by Taliana Design.